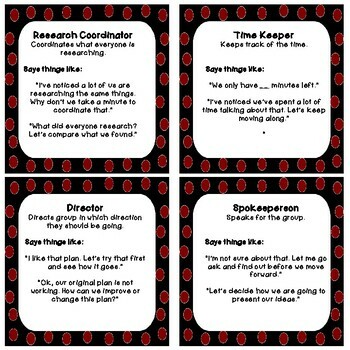 Discussion Job Cards with Talking Stems! 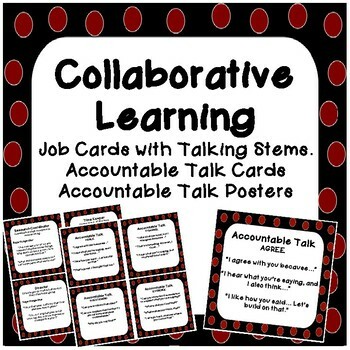 These collaborative job cards are perfect for any project! They can be used in ELA, Social Studies, Science, Math, or STEAM. Each job card includes a short description of the job and talking stems for students to follow. 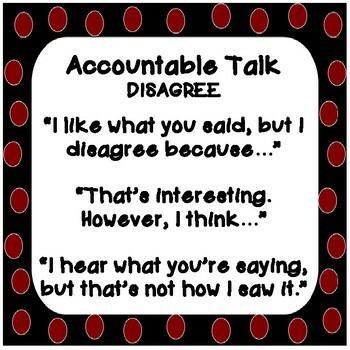 Download also includes Accountable Talk Cards and Posters. 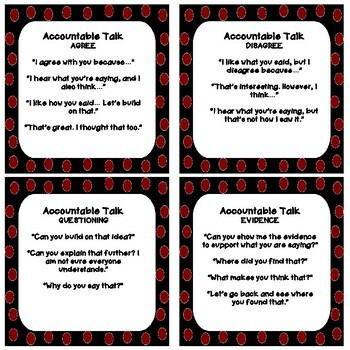 Each card and poster has accountable talk talking stems for students to follow and keep their conversations accountable! Cards cans be cut, laminated, and put on a binder clip. Posters are perfect for laminating and hanging on the wall as a reminder. If you like my product, please leave feedback and earn your own TPT credit!